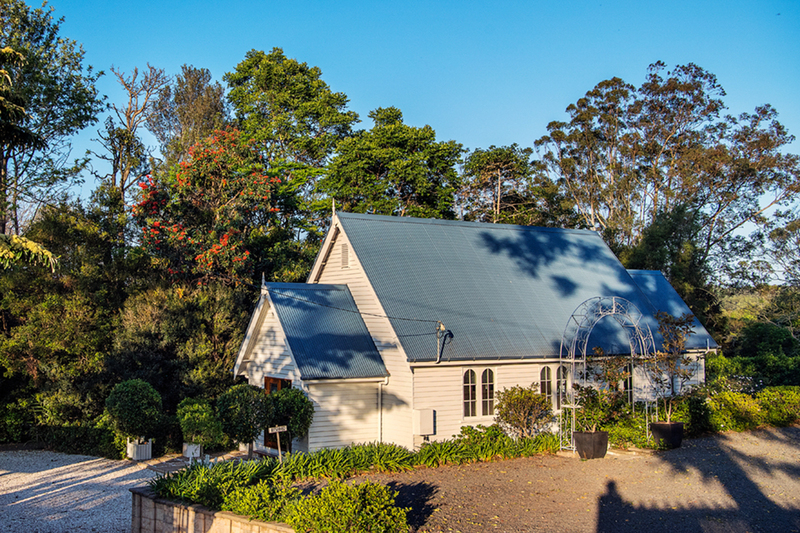 The Little White Wedding Church in Maleny is a top rated Sunshine Coast Wedding Venue. As a non denominational church, this picturesque venue is the ideal place to get married. 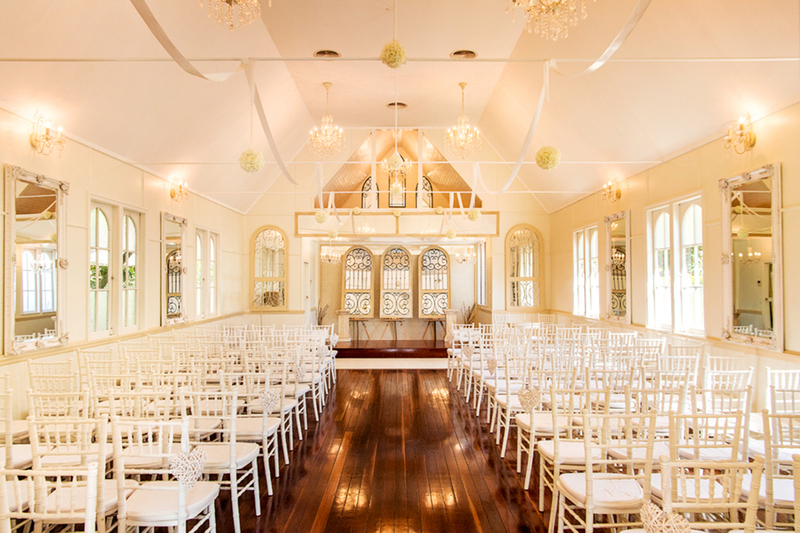 Set in a scenic rural location, the church caters for small intimate affairs and grand wedding events. 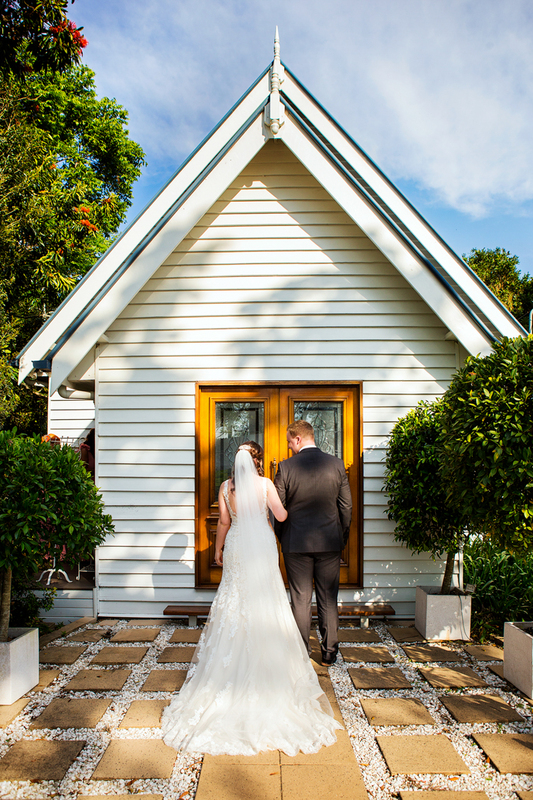 With seating for up to 119 guests, and a light filled, elegant interior, the Little White Wedding Chapel is a favourite for couples who are looking for a traditional charm infused with a contemporary style. The Tiffany Chairs and Chandeliers add an atmosphere of classic vintage elegance. Contact for more information and availability. Set on 2 landscaped acres, there are many beautiful locations on the property for wedding photography.